Institute of Banking Personnel Selection has released the IBPS Clerk 2017 results. The preliminary exam was held on 02nd, 03rd, 09th and 10th of December 2017. Share your success stories with us to get featured on our page. 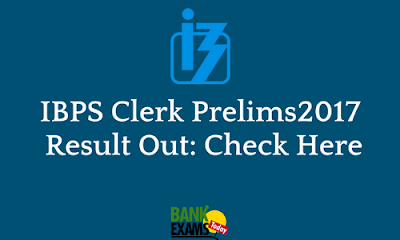 Check your IBPS Clerk Prelims Result.